This is what today’s fuss is about. Just look at those beauties. Three years it took, my epic journey, to go from a dream to a book you lovingly hold in your arms. I want to give these books away. Lita wants her Enchanters to find a good home with you, Gentle Reader. She will autograph all these books, and send them into the world. Wait, that leaves…four more copies to give away. Let’s do that a little later. For now, I’ll talk about the meaning of names, and why it’s so important to Sye’s magicians…in the next post. 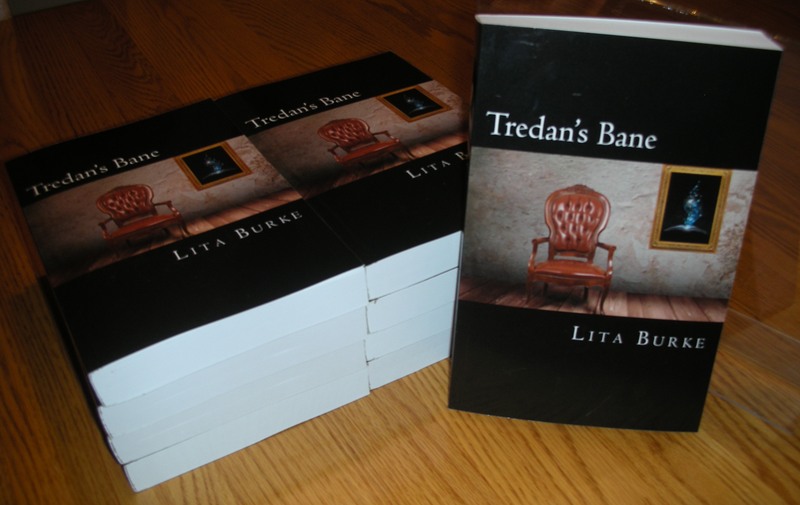 This entry was posted in Book Launch Party, Tredan's Bane and tagged bane, book launch, books, Burke, enchanters, epic fantasy, epic journey, fantasy, fantasy novel, fantasy worlds, gentle reader, Goodreads, Indie, Lita Burke, literature, meaning of names, sye on June 30, 2012 by Lita Burke.